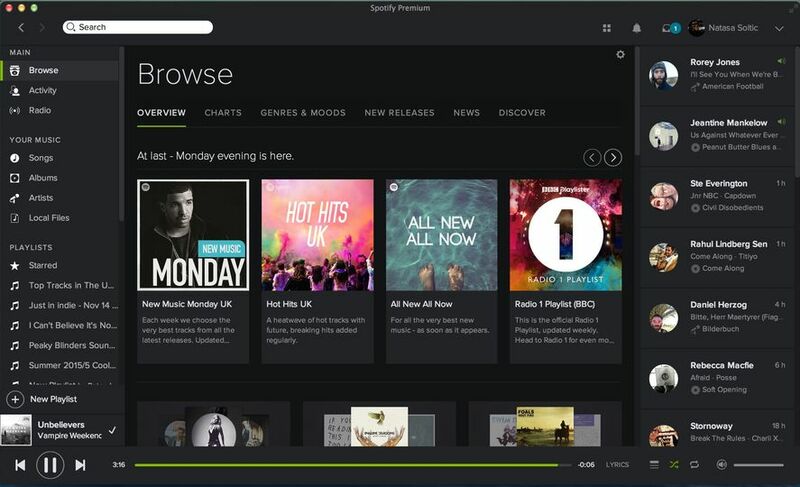 Spotify lets you listen millions of high quality music tracks online, legally. Spotify has licensed virtually all major record labels' music to be used with its service and all that for free. With Spotify's client you can create and share playlists of the tracks found the service, find new artists via recommendations and more. The audio quality is very good and software itself is quite light-weight and extremely intuitive to use. Service is provided for free, but compensated by advertisements played every now and then between the played tracks (however, with the paid, premium version of Spotify, you can remove the ads completely). 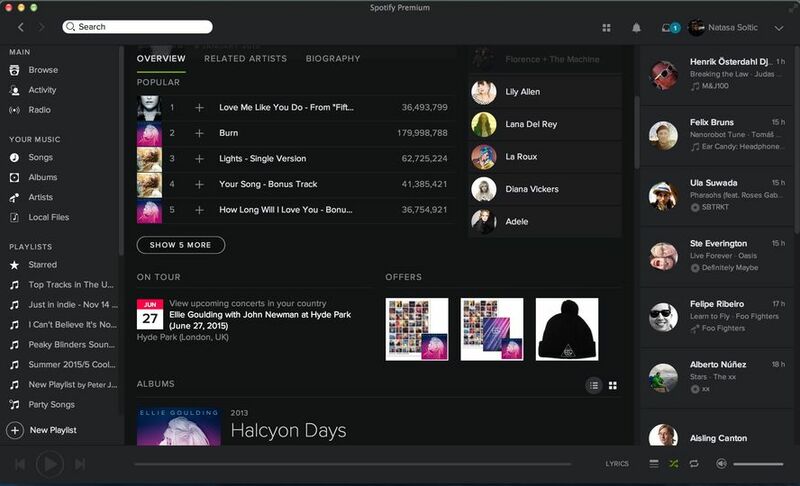 Tracks aren't downloaded to local PC in a playable format, but instead, the player streams the tracks from Spotify's service (again, with premium, it is possible to use Spotify in offline mode as well). In order to use Spotify, you must create a free user account with their service via Spotify's website -- and it should be noted that the registrations are currently restricted to selected countries only.